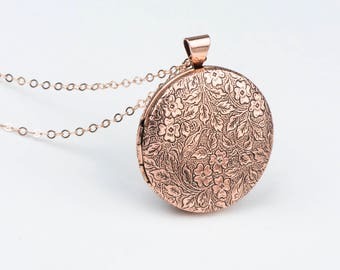 Announcement Freshy Fig specializes in lockets and layering necklaces in rose, gold and silver. 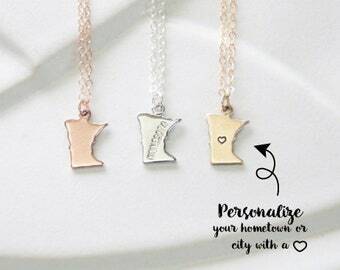 We love the idea of providing jewelry gift pieces that can be cherished by you and loved ones. We strive to be as kind to the earth as possible by using eco-friendly recycled paper mailers and boxes, so please recycle them after you're done! Follow us for tons of sneak peaks and new items! Help or questions? Please convo, e-mail at freshyfig [!at] gmail.com or in case of emergency, call 503.473.2934. 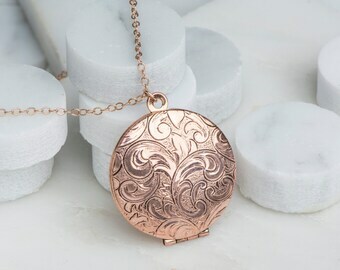 Freshy Fig specializes in lockets and layering necklaces in rose, gold and silver. 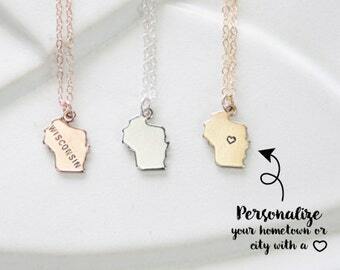 We love the idea of providing jewelry gift pieces that can be cherished by you and loved ones. We strive to be as kind to the earth as possible by using eco-friendly recycled paper mailers and boxes, so please recycle them after you're done! 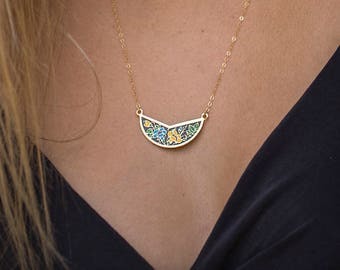 Necklace is absolutely beautiful! I bought it as a gift for my friend and she loved it. 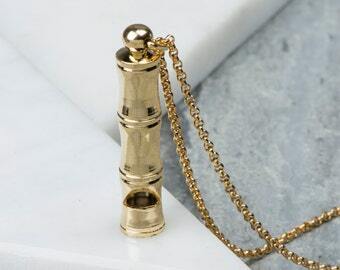 Exactly as described and pictured, easy to pick chain length, and very fast shipping. 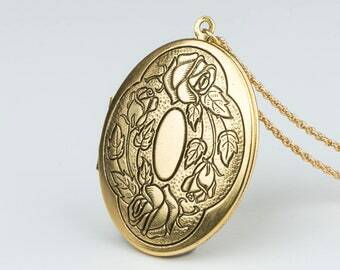 I purchased 3 of these gorgeous lockets for Mother’s Day gifts, one silver and 2 gold. 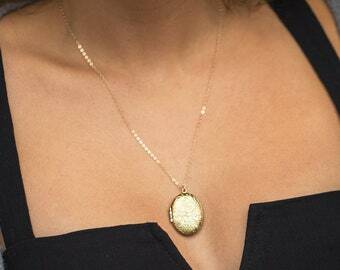 The locket itself is nice but I feel for the expensive price the chain is kind of weak or cheap looking. As for shipping, amazing! I received my package in only a short couple days!! Thank you. Newbie color to the shop, loving the unique black and gold! 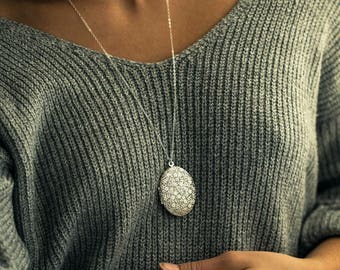 Our Elegant Stone Drop Bar Y Necklace is available in 4 stone color choices in silver and gold! 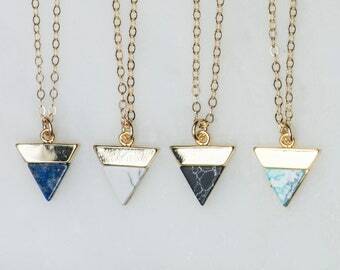 Drilling personalized necklaces for chains. 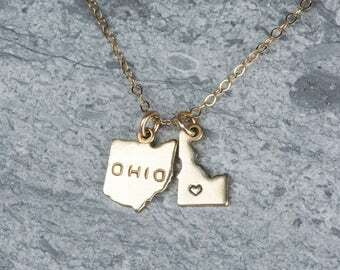 We work together to make the Freshy Fig line of jewelry as fun and accessible as possible. We want everyone to be able to wear pieces that help express their individuality without breaking the bank. 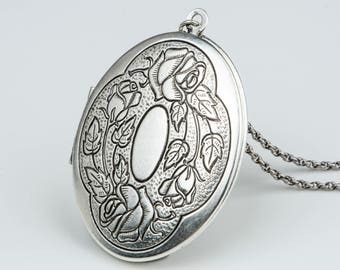 Jewelry pendants and chain are re-used in many of the vintage necklaces and we use recyclable supplies when possible. Being eco-friendly is very important to this shop! Hey! I'm Amanda. 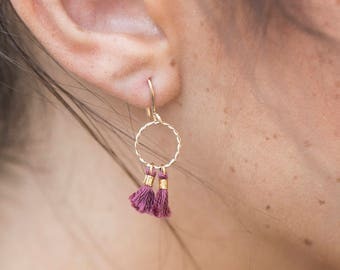 I'm a Portland native and a lifelong jewelry maker. 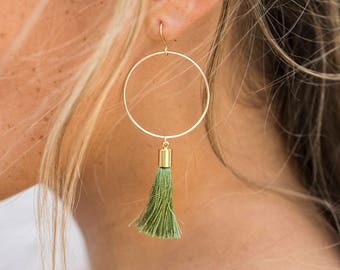 I have a passion for eco friendly business and am constantly searching for new ways that Freshy Fig can incorporate recycled materials into the shop! Hey there! I'm Tom and I grew up in Bend, Oregon. I love spreadsheets and researching eco friendly products for us to use. Hi there! I'm Whitney, I moved out to Portland about 5 years ago from Michigan. I'm a photographer, crafter and fabric buff. I take most of the photos you see on the site and I also make all of the lockets! Freshy Fig is about sustainability and the highest quality. We invest in recycled content jewelry boxes and mailers that are actually recyclable so that you can feel good about your purchases from us! HOLIDAY EXCHANGES AVAILABLE FOR ORDERS PLACED DEC 1st-DECEMBER 21ST: Please alert us by January 2nd if you intend to place an exchange. 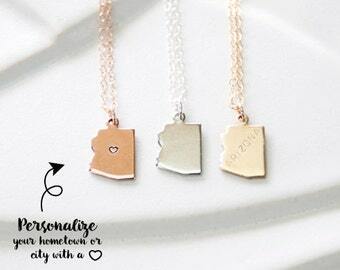 • Unless we made a mistake, returns are NOT accepted on personalized pieces. • For custom orders, returns are handled on an item-by-item basis. • Please do NOT just send the jewelry back. • For faster customer service please provide us with your contact information used on the order. • Please pack the item carefully to minimize tangling or damage. • Returns will process in approximately 1-2 weeks after receiving. • For returns, we refund the purchase price minus shipping to the original pay method. 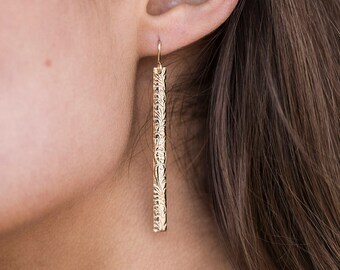 • If you didn’t order the correct length, you can send it back to us and we will adjust it for you here in the studio. - We accept unworn/unpersonalized exchanges within 14 days of when your package was delivered. - Please contact us at customercare [!at] freshyfig.com to arrange your exchange. We are more than happy to fix or exchange a broken item for free for up to 2 months after purchase as an insurance policy to you! If it was broken within 30 days of purchase, we will cover shipping both ways. Etsy handles all payment transactions. We do not see your billing information as it is secured with Etsy. For billing changes please check this Etsy link: https://www.etsy.com/help/article/1939? • We accept Paypal, Credit Cards and Etsy gift cards. • Oregon doesn't charge sales tax. Thank you for your patience as we carefully hand make your pieces! You select the shipping method you want when you check out. We may have questions on your order! Check your Etsy convos in case we send you a message! If you need your order rushed, please make sure to select an expedited form of shipping. Also, please note the date you need it by (in the "notes to seller" section) so we can work to make it happen, or contact you if it’s cutting it too close and discuss options. Transit times can vary GREATLY. Typical transit times are 7-14 days, but occasionally packages can be substantially delayed if held up at customs. We don't have any control over your country's customs officials, so please understand the risk of delay. This isn't common, but it happens occasionally. We have no control over your country's customs officials. Some countries will charge duty for international packages and others will not, and all at different rates! Most packages go through without any charges, it is somewhat random, but please be advised that we have no control over how your country charges duty. These are NOT extra shipping charges. So please find out about your country’s customs and duty policies if you’re concerned. If your order was shipped with USPS, the tracking numbers for International shipments only show where they are in the USA, and once they ship overseas, the tracking number is not updated. Once your package is outside the US, there will be no update until it’s been delivered. The tracking will show your package being “frozen” at a major US port (like Los Angeles), but this doesn’t mean your package isn’t moving, it’s just that it’s moving overseas and not updating the US system until delivery. 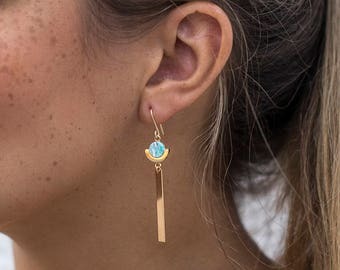 It is recommended to keep jewelry away from water, chlorine and sauna or any chemicals such as hairspray, perfumes, lotions, etc. 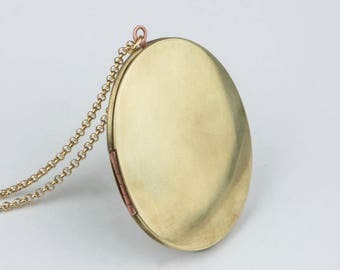 Use a polishing cloth on solid metals only such as 14kt gold filled, sterling silver, solid brass or bronze. 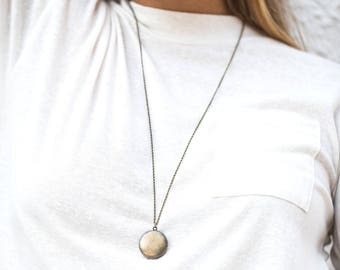 Sterling silver is a beautiful precious metal and tarnishing does happen after continuous wear from contact to Uric acid in the skin, moisture and oils. 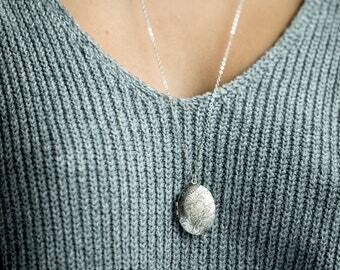 Clean with a sterling silver polishing pad or liquid cleaner to shine like new. Did we miss anything or make a mistake? Please contact us so we can fix it! 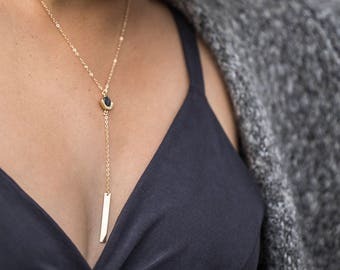 What is the length of the necklace in the photo? 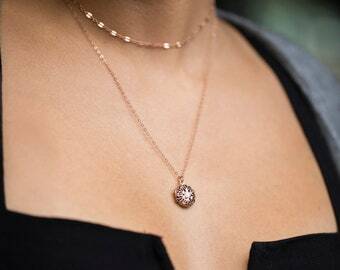 What is the size of the pendant? 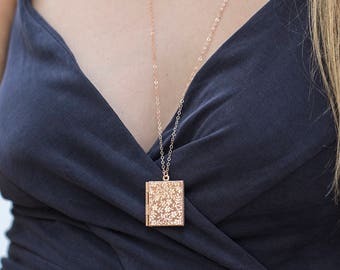 Size of pendant and lengths pictured on the model are found in the description of each item by clicking on the "item details." We list all pictured lengths for your convenience! 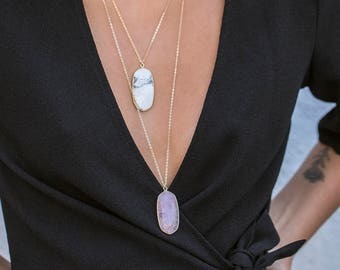 How do I clean my necklace? 14kt rose and gold filled, sterling silver and raw brass can all be cleaned with the polishing pad included in your package. Don't use polishing pads on plated items or them in the shower or pool. Do you use eco friendly packaging? We use eco friendly recycled material mailers and boxes that can actually be recycled again! The paper we use is purchased from a non profit and is re-used from local businesses. We try to support Scrap and the Rebuilding Center, both local non-profits, whenever we need supplies. You can feel good about your purchases from us! We cherish the earth! How do I tell you what I want stamped? Or how do I explain a modification? Please leave your customizing instructions in the "add an optional note to seller" box on the checkout page. To find out what you should include, please refer to the "item details" for your specific item. We included all of the necessary details. Each item comes ready for gift giving with jewelry box, ribbon, card and if appropriate, a polishing cloth. 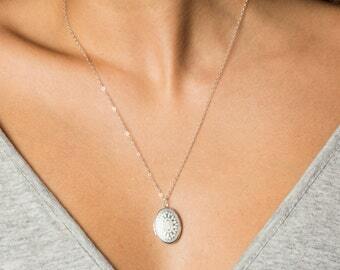 All personalized jewelry comes with a polishing pad. We DO NOT include a receipt in the package in case the item is going directly to the recipient. We do not gift wrap but the packaging is clean and elegant. We do wholesale on 15 items or more. Please contact us for pricing!